Fernando Moreno, aka Acues, was born in Barcelona in 1979 and has turned into one of the most representative figures of the international Trance scene and an important reference in Spain. He discovered music through the legendary Casio PT-1 when he was only a child, although it was in 1995 when he started his projects as part of a rock band. Two years later he became interested in Electronic music and it was in 1999 when he finally started producing Trance, under the name of Acues. Shortly after beginning his musical career, he edited his first tunes through the record label Knife Music and years later he joined the production company Zinetik Records. During this time he released various productions of which the most important was “La Festa Vol. 5 - Show Me The Way”, the best seller in Bit Music’s history, distinguished Spanish label specialized in Dance music. Simultaneously, he came to be a deejay at the club Future in Barcelona, gaining the necessary experience to be able to perform sets in various clubs around Spain. At the end of 2004, he joined Elitist and together they made the tune known as “Acues & Elitist – Zonderland”, one of the most outstanding tracks of 2005, included in important compilations such as "Thrillseekers Night Sounds Volume 1", "Cosmic Gate Back2back Volume 2", "Trancemaster 4009", "Mixmag Presents Ferry Corsten", etc. 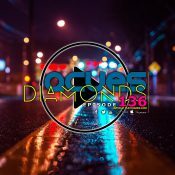 From this moment on Acues begins to create mixes and sessions for important digital radios around the world, such as Afterhours.fm, DI.fm, ETN.fm and Crystal Clouds, besides from owning a musical spot for his personal show, "Melodic Trance Emotion", in a Spanish radio station. After leaving the project “Acues & Elitist” to relaunch his solo career, he sets a weekly residency at the Aire Restaurant lounge in Barcelona. He released some of his productions through important international labels such as Shah Music, Redux Recordings, Somatic Sense and Novascape Records, his tunes have been supported by important deejays such as Ferry Corsten, Armin van Buuren, Cosmin Gate, Pedro del Mar, Dj Precision and The Thrillseekers. In 2012 he joins the Playmusic project as an A&R of Existrance Records, label specialized in Trance music.